Just like applying make-up to the face, the same concept can be used when applying colours to a set design. It is meant to enhance and add brilliance. 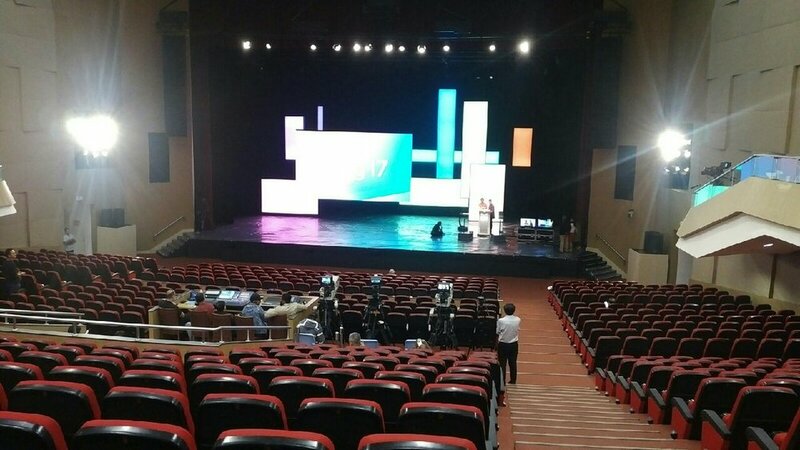 This year's Prime Minister's National Day Rally saw Senior Art Director Tay Siu Whye and Principle Lighting Designer Lok Eng Keat working hand in hand to deliver the colourful set at the ITE Auditorium. 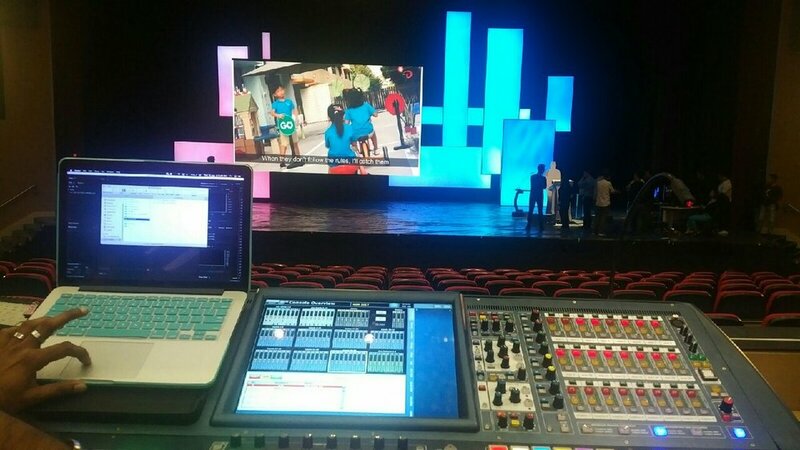 "To create smooth gradient colours in the light boxes for this set design was technically challenging. After many trials, we managed to achieve the effect by using LED storm lights. 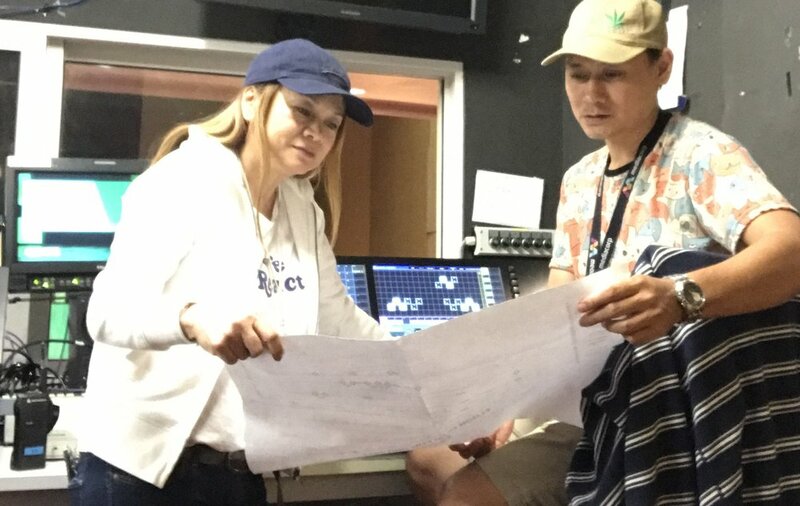 Photoshop was used to 'paint' the colour onto the set" said Siu Whye. "The challenge for lighting is how to support the content through playing with lights and colours. We intensified the visual experience for both live audiences and TV viewers by integrating the use of Gobo and LED lightings to blend with the video wall" explained Eng Keat. It was great teamwork that enabled both designers to deliver the beautiful set for that day. 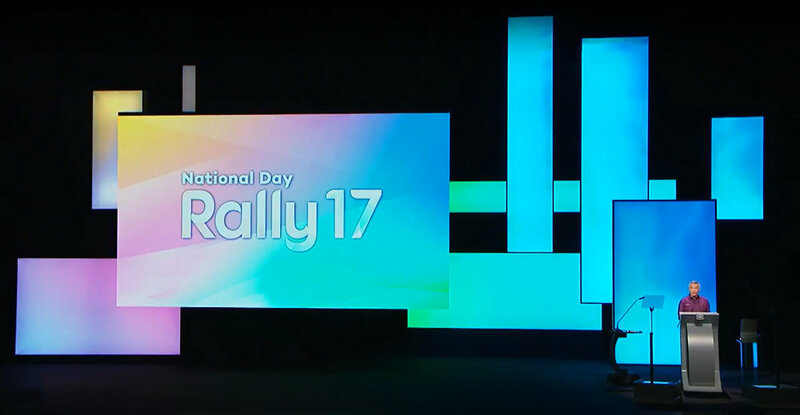 The Rally production was supported by the Studio crew and OMP crew using 8 cameras at the ITE Auditorum, they also made possible the sign language Live streaming for PMO's YouTube channel from Studio 4 at the Mediacorp Campus. To find out more on our set design services, click here. To find out more on our TV studios, click here.